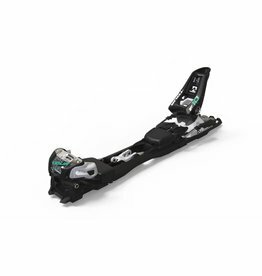 The new Marker Squire 11 ID binding suits intermediate and lighter weight advanced skiers looking for great power transmission in a very lightweight freeride binding. 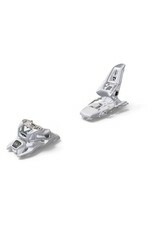 The Triple Pivot Light Toe and Hollow Linkage Heel make the binding compact as well as sturdy. 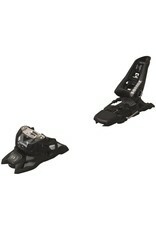 Its SOLE.ID technology allows the shop to adjust the binding to accommodate either AT or Alpine boot sole norms. This gives the skier the ultimate flexibility and allows them to choose a boot with easy to walk soles like GripWalk, to make it easier and (and more fun!) to walk in ski boots. This compact toe design features a horizontally oriented spring. 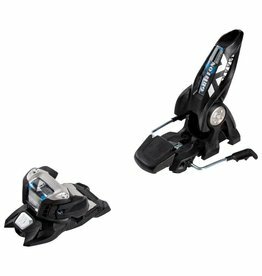 The Triple Pivot Light toe offers a unique combination of light weight and solid power transmission. Equipped with a movable stainless steel AFD (anti-friction device) leading to a highly precise release almost entirely unhindered by dirt, snow and ice! 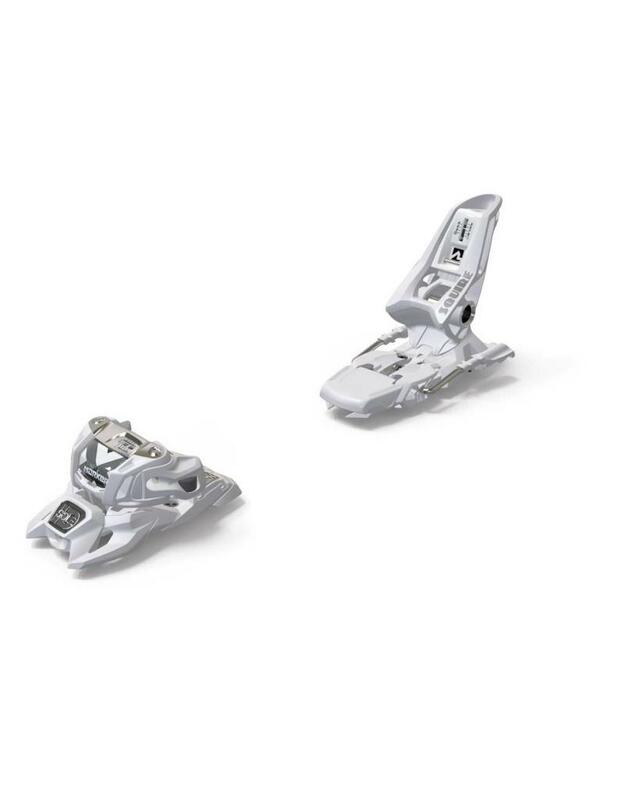 The toe construction with DIN/ISO up to Z 18 allows for impressive retention when freeriding. The spring in the toe is inserted horizontally and with a sole plate inclined by 5° it provides the highest energy absorption so as to reduce the risk of early release.